Most players are unaware of the importance of using a weapon attachment: They prefer to use their weapons “as they are”. However, using the right attachments can turn a simple weapon into a deadly one. Sniper rifle attachments are the most lethal: With an advanced scope, you can kill your opponents from a very long distance without them realizing what is happening. 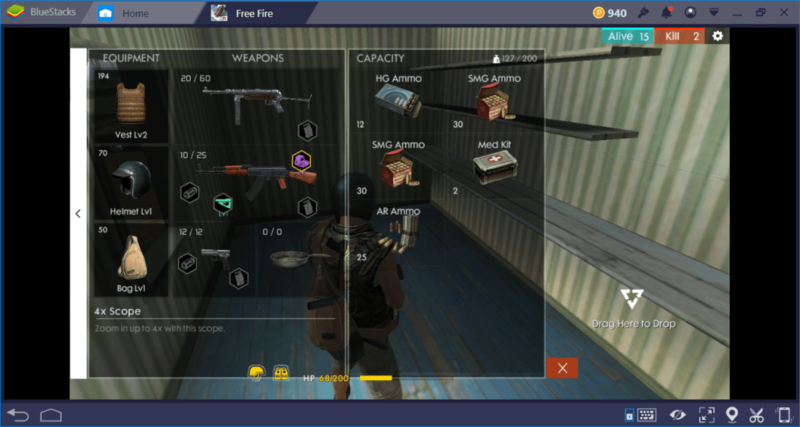 In this guide, we will provide information about weapon attachments and give tips on sniping in Free Fire. Weapon Attachments: What Are They? Other weapons have a limited number of attachment slots. 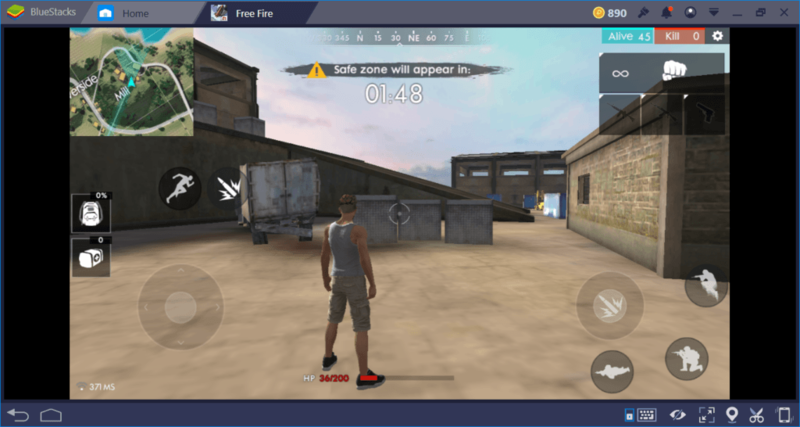 To see a full list, we recommend you to take a look at the BlueStacks Free Fire Weapon Guide. The most important attachments for snipers are the scope and muzzle. For assault rifles, we recommend you choose magazine and scope. To tell the truth, these are the only types of weapons that need an attachment. 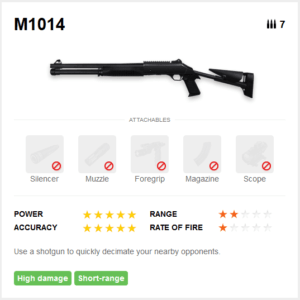 You can use handguns, shotguns, and sub-machine guns as they are and without a disadvantage. Silencer and foregrip attachments provide almost no advantage and can be passed for all types of weapons. This doesn’t mean that “do not use them”. 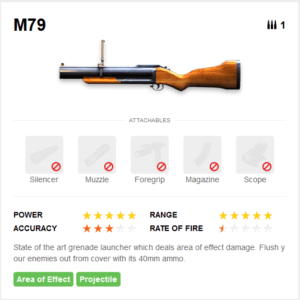 You should still equip silencers and foregrips whenever possible, but do not expect miracles from them: You won’t notice any difference in terms of combat power. Before you start shooting people from a distance, you need to find sniper rifles. These are quite rare weapons, but you are more likely to find them in certain areas of the island. In this respect, we can say that the richest region is “The Mill”. Located on the highest hill of the island, this area is the best place to find a sniper rifle. In this context, you have a good chance of finding a sniper rifle in the Outpost region too. Actually, the ideal zone to find a rifle will be the buildings around Power Plant, but this region is a violent battlefield scene at the beginning of the game and a good place to search for weapons. You can read more about the best places to land in this guide here. When you find a rifle, your first job should be putting scope and muzzle attachments on it. But if the rifle you find is AWM or Kar98k, there is no need to worry: These weapons already come with an 8x scope installed. Other rifles have pre-attached 4x scopes and you need to use a bigger scope to be effective at long distances. The muzzle attachment is not a mandatory one, but it is very handy as it allows the bullet to cause more damage. 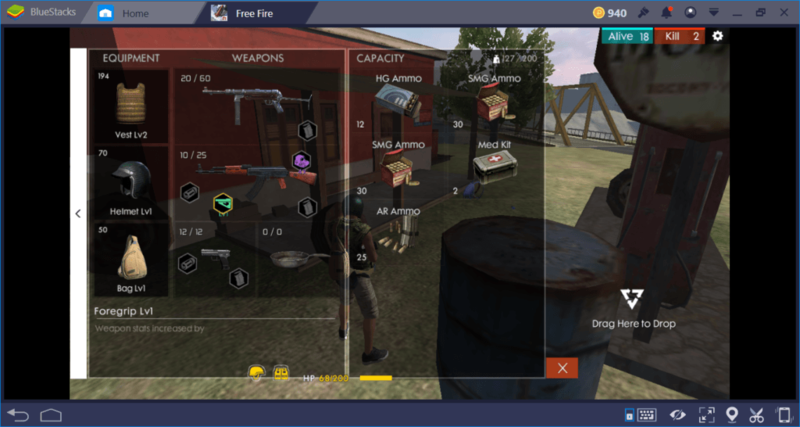 Free Fire does not use realistic physics and offers more action-oriented gameplay, so you can completely bypass the silencer attachment. No one will try to track you by following your muzzle flame. 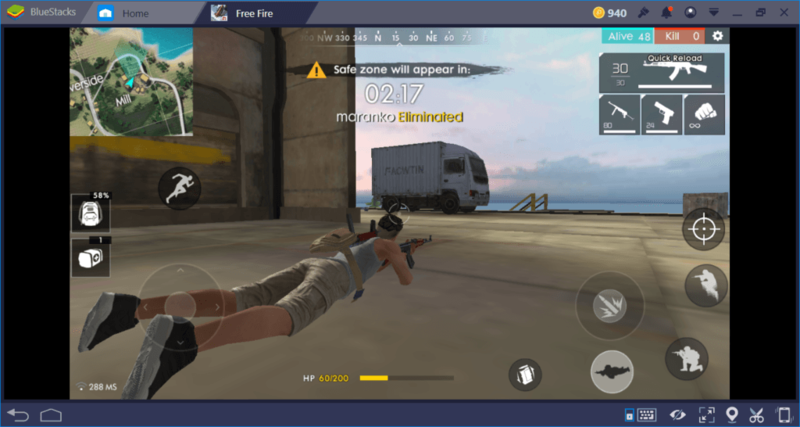 We mentioned above that Free Fire does not use realistic physics, and this also applies to sniping. 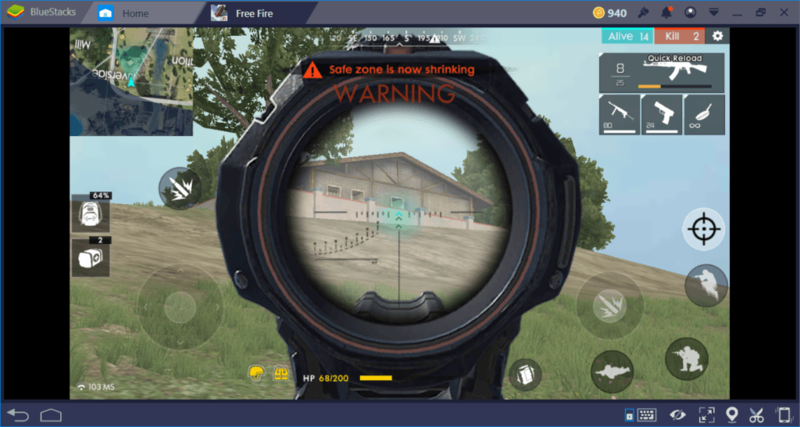 Unlike other Battle Royale games, it’s enough to keep the aiming reticle on your target. You do not have to consider the trajectory of the bullet. The bullets move in a straight line, and you hit wherever you aim. It is literally “point and shoot”. The only thing you need to look out for in this respect is the distance: If your target is too far away and on the move, aim at the place where he is going, not where he is. In this context, do not shoot at far distances with 4x scopes. Do not enter close-quarters combat with 8x scopes too – if your target is very close to you, it would be better to switch to an assault rifle instead of using a sniper rifle. 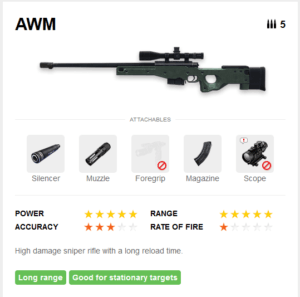 How Powerful are Sniper Rifles? Well, they are powerful enough to kill your target with one bullet if you manage to hit the head. 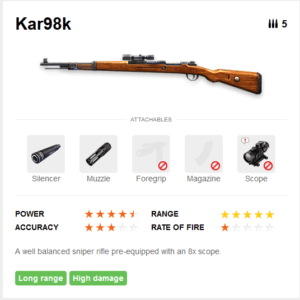 In terms of shooting power, Kar98k and AWM are the best rifles. They can kill your target literally with one shot, even if he is wearing a Tier 3 helmet. However, their clip size is very limited and reloading them takes too long. In other words, if you miss your target, don’t bother to reload: Switch to another weapon or start running away. VSS is the least powerful sniper rifle. Even with a headshot, it cannot kill a target who wears a helmet with one bullet. 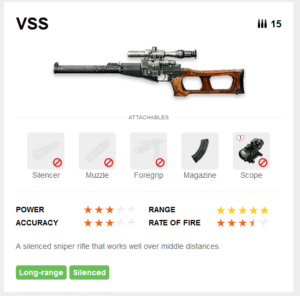 However, it is the best sniper rifle for beginners: VSS offers a very big clip size and much faster reloading speed. So even if you miss, you can keep shooting at a high rate and hope for the best. What Happens If You Miss? First of all, do not panic. If you miss your shot or fail to kill the target with one shot, do not leave the location you are at. If your target is closer than 50 meters, he most likely saw where you are hiding since you will appear on his minimap. Do not try to reload your sniper rifle if you are using an AWM or Kar98k. Instead, switch to your assault rifle and start shooting without leaving your position. If you have missed a target farther than 50 meters, it is unlikely that he will understand where you are. Reload the rifle and shoot again. But even the worst player will have an idea of where you are hiding if you miss the second shot. You can continue to fire with the sniper rifle until your target comes as close as 50 meters. After that, switch to the assault rifle again. Lastly, do not forget that your sharp shooting skills will develop over time. So if you keep missing the target at the beginning, do not despair. You need to practice a lot to get a certain mastery. But, if you are patient enough, you can become a silent death machine that no one can see. And that’s the ultimate goal: Killing your opponents without being seen and become the king of the island by shooting only once. Now climb to somewhere high and start shooting: Somebody needs to clean this island and you are the perfect candidate for the job.